Like a bit of high-tech DIY? Then we've just the give away for you! 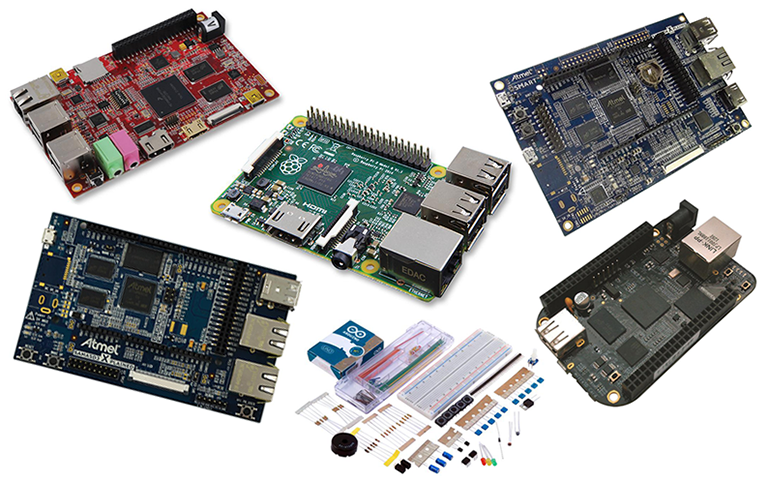 On this rather special day, we have an incredible 14 development boards and evaluation kits up for grabs from Newark. In the goodie bag are two Arduino Uno dev kits, three BeagleBone Black dev kits, a trio of Raspberry Pi2, a pair of RIoTboard starter kits, a duo of Atmel ATSAMA5D4 evaluation kits and two Atmel SAMA5D3 evaluation kits! Awesome prizes for avid hobbyists or developers, we're sure you'll agree. To be in with a chance of winning simply answer the following question, and don't forget, you can also claim a free second entry via Facebook! Good luck, and check back soon for more prizes in the 2015 Epic Giveaway! The competition winner will be picked at random from all eligible entries that arrive by midnight of the closing date, December 27, 2015. The winners will be notified via email by January 3, 2016. The winner must claim their prize within 7 days of the promoter sending notification. If the prize is unclaimed after this time, HEXUS reserves the right to offer the unclaimed prize to a substitute winner selected in accordance with these rules. The prize is one of 14 development boards and evaluation kits.